The days of uncomfortable metal braces are over thanks to Invisalign®. A revolutionary way to correct a wide range of orthodontic issues, Invisalign can be used to remedy crooked or gapped teeth, crowded teeth, and even overbites and underbites. At Library Plaza Dental Center in Des Plaines, many of our patients come to us with questions regarding the Invisalign process. 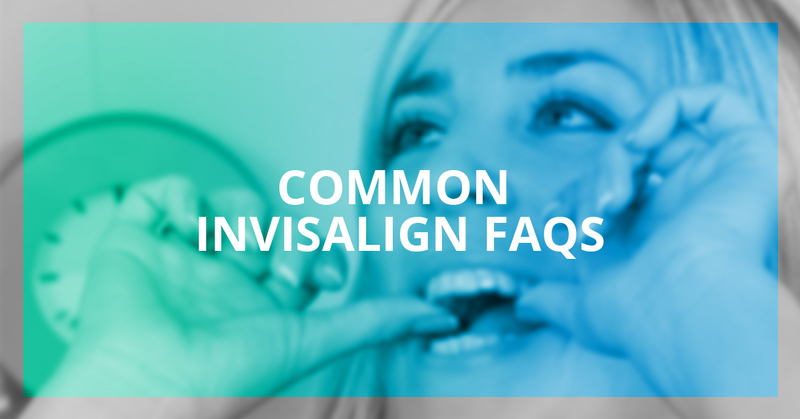 That’s why, in this blog, we’ll look at some common Invisalign FAQ so that you have a thorough understanding of this innovative and safe cosmetic dental solution. Unlike traditional braces which can cause pain and discomfort, Invisalign is one of the most convenient methods for straightening teeth. Instead of having to maneuver around braces every time you brush and floss, Invisalign gives you the freedom to take out your aligner whenever you see fit. Many people take out their Invisalign aligner to brush, floss, eat, and drink. This is a significant advantage over old fashioned, cumbersome braces that can be prone to damage when eating hard or chewy foods. Since the Invisalign aligners are transparent, you don’t have to worry about embarrassing metal brackets and wires that take away from the natural appearance of your smile. While traditional braces contain sharp edges that can scrape or cut the inside of your mouth, Invisalign aligners are very gentle on the cheeks and gums. Many of our Des Plaines dental patients ask us what the Invisalign aligners are made of. The answer to this question is a thermoplastic material that looks very similar to popular teeth-whitening trays. When you visit your local dentist to be fitted for a set of aligners, they will be custom-made to fit your smile. Over the course of your Invisalign dental treatment, your dentist will supply you with a series of aligners. Depending on your individual treatment plan, you will be required to wear each aligner for a certain amount of time, before moving to a new one. Each aligner will make slight adjustments to the position of your teeth (this process is mapped out in advanced by your dental physicians). When you wear your aligner, it will cause your teeth to gradually shift from their current position. For the best results and a timely outcome, your aligner should be worn for 20 to 22 hours a day. You may be wondering how this seemingly small piece of plastic can move your teeth. Each aligner is made from a patented thermoplastic design, which will move your teeth to their appropriate place through the use of controlled force. During each stage of your treatment, only specific teeth will be allowed to moved. The length of your Invisalign treatment will depend on the severity of your case and can only be determined by a dental professional. The average person will wear their aligners for 12 months, and your doctor will schedule regular appointments every four to six weeks. 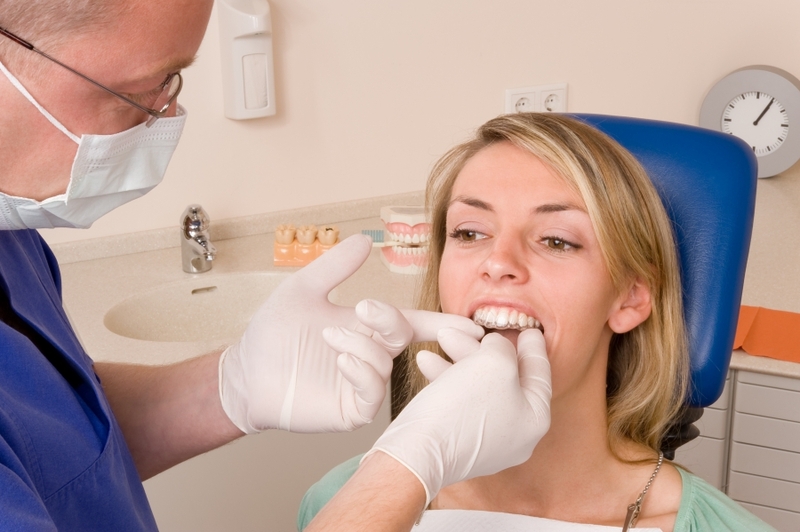 The goal of these dental visits is to ensure your treatment is progressing as planned. My Dentist Mentioned “Attachments,” What Does This Mean? If your dentist has recommended Invisalign aligners to correct your smile, they may mention that “attachments” or “ridges” will be needed. These items are used to help the aligner grip to your teeth, and they tend to be small pieces of enamel-colored composite that your dentist will affix to your teeth. Invisalign aligners are virtually invisible, which is a main reason why so many teens and adults prefer this teeth straightening treatment over other more traditional options. While this cosmetic dental treatment is much more comfortable than metal braces, some patients may experience temporary discomfort for a few days at the beginning stages of each treatment. It’s important to note that this is normal and is often described as a feeling of pressure. Once your Invisalign treatment comes to an end, your doctor may recommend that you use a retainer to prevent your teeth from gradually shifting back to their original position. Since every case is different, it’s important to speak to your dentist to confirm whether or not you’ll need a post-treatment retainer. We hope that this article has answered some of your Invisalign questions. If you live near Des Plaines and you’re interested in this incredible teeth-straightening treatment, contact the dental professionals at Library Plaza Dental today. We specialize in a variety of dental treatments including Invisalign, dental veneers, root canals, and teeth whitening, and we would be more than happy to help you achieve the smile of your dreams. If you’re interested in learning more about our dental facility or you’re ready to schedule an appointment, contact us today.